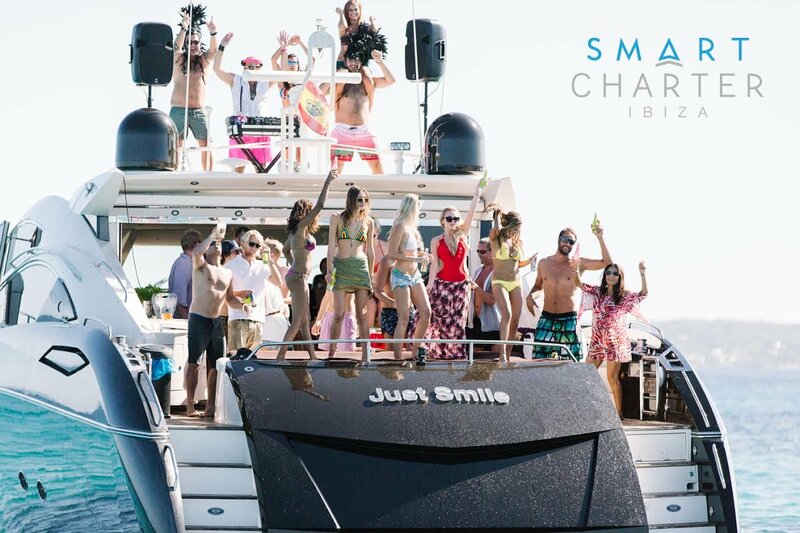 Smart Charter Ibiza, the Ibiza yacht charter agency that offers you the best service, and the coolest, most stylish boats for all budgets and needs. Looking to charter powerful motor yachts, sleek sailing boats or fast and agile speed boats? Why not spoil yourself and your family today? Smart Charter Ibiza is the biggest charter company on the island and we own all of our boats. What does that mean for you? It means affordable prices, reliable service and flexibility. All of our competent captains know just the right place to take you on your Ibiza Experience. All of our boats come fully equipped with everything you may need to enjoy your day including towels, drinks and water toys. All prices include skipper and VAT (21%). Elegance, comfort, safety and reliability! SMART CHARTER IBIZA where your adventure begins!